This week on the show the ACR Brain-Trust is back with another meeting of the Social Reject Club in the No Friends Left Zone and the gang is discussing the aftermath of the Charlottesville protests and subsequent vehicle incident that left a woman dead. We examine the media psyops which aim to hoodwink the public into believing that there is a large force of racist neo-Nazis that consist of anyone ... See More right-of-center in the political spectrum and to tie them to President Trump. Known strategies of agitation propaganda and violent cultural revolution are analyzed and parallels are made to other events such as the Arab Spring in Egypt and the land rights movement of the Bundy Ranch. 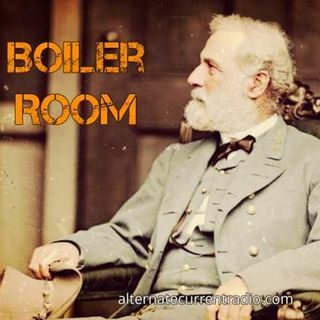 Join ACR hosts Hesher and Spore along side Jay Dyer of Jay's Analysis, Daniel Spaulding from Soul of the East, Infidel Pharaoh and Randy J (21WIRE & ACR contributor), for the hundred and twenty second episode of BOILER ROOM. Turn it up, tune in and hang with the ACR Brain-Trust for this weeks boil downs and analysis and the usual gnashing of the teeth of the political animals in the social reject club. My 'Preference'? I play the 'Air Theromine'! BUT..
More than once! I've found myself 'explaining' to Paramedics! That..somebody's called? That! No! I'm not having 'a seizure'!